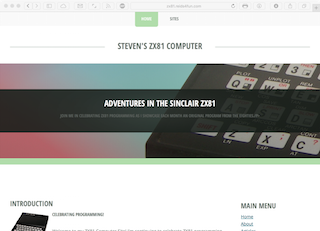 If you haven’t visited in a while, you may notice that my ZX81 retro computer site is looking a bit different. I’d been using newer, responsive themes, for almost a year now. Yet I was being selfish. The general population wasn't allowed to partake my fun. For the most part, this was due to me not feeling ready. The little bugs I saw prevented me from making progress. The coding perfectionist in me injected doubt which translated into no fun for the masses. No longer. Crediting my general website makeover, I pushed myself to finally release the latest update. Grabbing as many of the updates as I could from my other site, things should work better too. Just a note that I’m not 100% pleased with it. Sure, it looks better, but behind the scenes things aren’t quite done. That said, I’m getting over it. You can still enjoy the new look while I tweak things that most readers won’t care about anyway. As for other changes, you may notice the articles aren’t as long on the landing page. That’s on purpose. I wanted to make it easier to skim the content and encourage readers to explore. Silly I know. Besides you can now read skim older content by using the links at the bottom of the articles. This is something I’ve been wanting on the site for nine years now. Why did I wait so long? 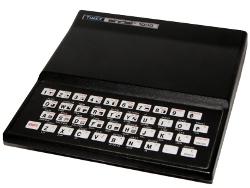 Oh, and this month I decided not to tweet my latest ZX81 article. Instead, I leveraged Feedburner to tweet my alternative post off of Also with the makeover, I included the metadata needed to display Twitter Cards and Facebook’s Open Graph Stories. Web pages now have better titles, descriptions, and links to images to support those features. Because of that, I don’t have to post images as they now appear automatically in the tweet. One other area I'm working on updating how I display my ZX81 programs. One probable outcome of this is that I will remove the downloads section. I haven't been updating it lately and it has a bug that causes the database to corrupt. The design in my mind is of a portfolio type layout. Each program's card would take you to an expanded page with more information on each program. I’d like to include ratings as well so you can vote for the best programs—or worst! I’m excited about the idea and play to get working on that soon. Tell me what you think. Do you like the new look?